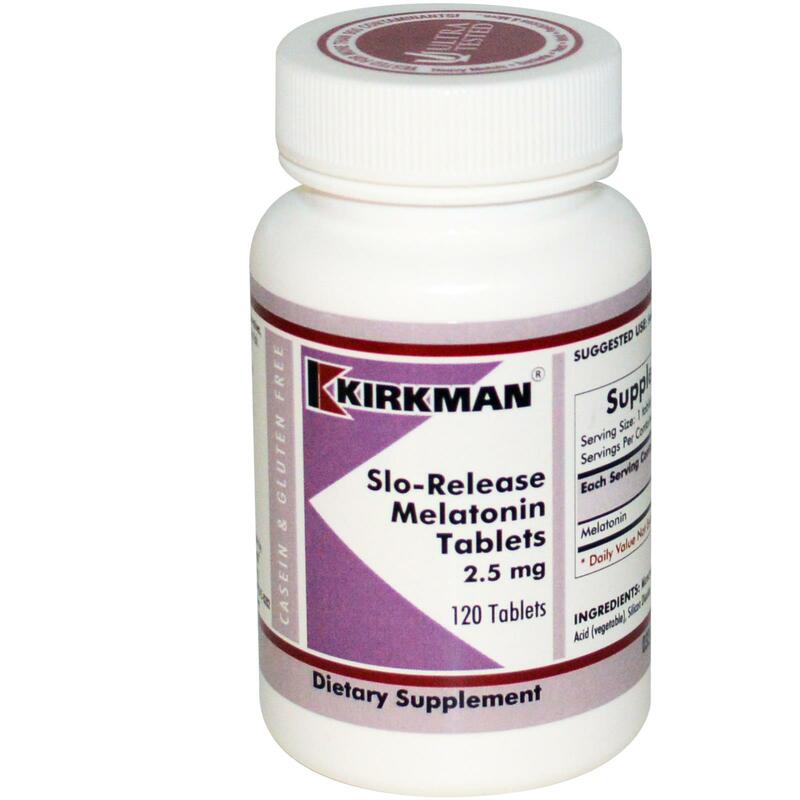 Kirkman® offers melatonin in a special “Slo-Release” matrix that releases melatonin gradually over a period of 2-4 hours. Melatonin is a hormone secreted in the human body by the pineal gland. It is manufactured in that gland from serotonin. It is believed that manufacturing and secreting melatonin is the sole function of the pineal gland. Several double-blind studies have shown that melatonin supplementation is effective in promoting sleep when melatonin levels are low. If an individual takes melatonin when levels are not reduced, then it has reportedly no effect. The reason for this is that the body normally secretes melatonin just before bedtime. Darkness stimulates melatonin secretion, while light suppresses it. This process is all controlled by an internal body clock governing hormonal secretions called “natural circadian rhythm.” Low melatonin levels are considered a very common cause of sleeplessness. In jet lag, this natural body clock may not allow for secretion of melatonin at the appropriate time, thereby making melatonin supplementation useful. 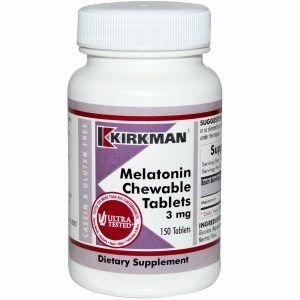 In addition to being a sleep aid, melatonin may also help in the methylation process, which is important in the body’s absorption and utilization of vitamin B-6. For this reason, we now recommend that everyone who uses Super Nu-Thera® or Thera Response also try melatonin in the evening to determine if it provides added benefits. For those individuals who are deficient in glutathione, melatonin is important because it stimulates the production of glutathione peroxidase. These tablets must be swallowed whole. They may not be crushed or dissolved in liquids because that would destroy the “Slo-Release” matrix that lengthens the tablet’s dissolution time. They may be swallowed with food such as applesauce, mashed potatoes or peanut butter followed by some water.